Cream 10401309 Sarah Boot. 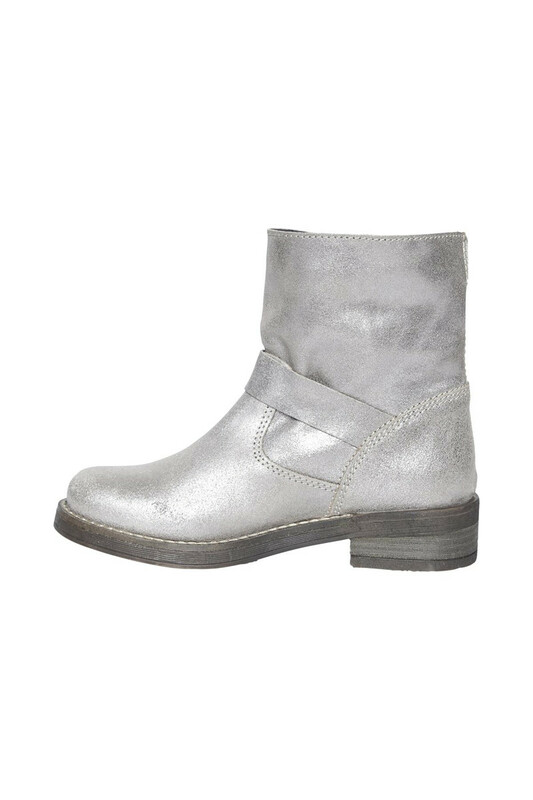 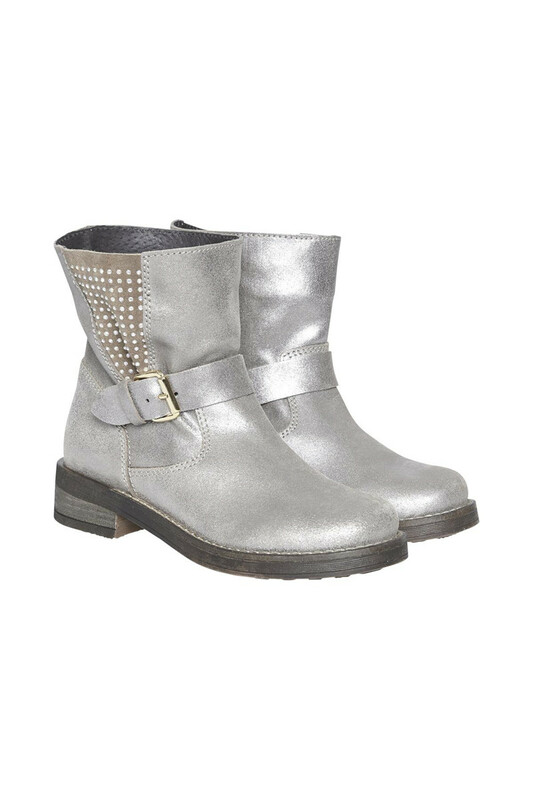 Leather boot with a medium-high loose fitting leg in a metallic look, decorative details on the side and strap over the instep. 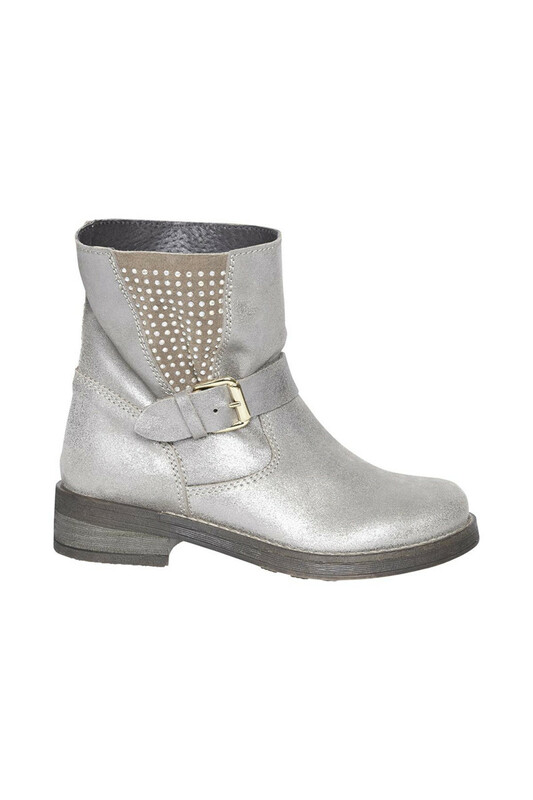 The boot has a lovely leather sole for great comfort.